Exactly what Chanel Iman is, everything and then some. With this old school glam cover, Chanel Iman covers XOXO Magazine - November issue. It's been a while since I've seen the 21 year old model grace the cover of a magazine, but now she's on XOXO magazine cover. Soak it up! 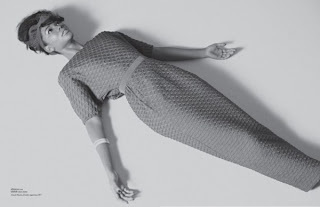 Check out the rest of the pics from her black and white, retro, minimal coloured clothing photoshoot for the magazine.